How the internet has changed the beauty world! Back in the day, the only way to get affordable makeup was from good old Boots and it was very difficult to give any sort of feedback to brands without the power of social media - for example, raising issues such as poor shade ranges in foundations. Today, I'm sharing my thoughts on drugstore makeup (the clue is in the title: they aren't entirely positive!) and why I feel that way, as well as the brands and products I suggest checking out instead! I know that not everyone likes buying makeup online but in the age of blogs, Instagram and YouTube; I really don't mind! I can easily look up swatches and even shade-match base products using the shades I know my favourite influencers use that have the same skin tone as me. Occasionally I get it wrong but on the whole, even if I have to order from America, I'm getting something that's high-quality for the same price or less than the UK drugstore. I often feel that when drugstore brands release colour products, they're always late to respond to trends! Whilst there's nothing necessarily wrong with what they're releasing; myself and many other beauty enthusiasts usually already own something similar, so by the time they've caught on that a particular colour theme is hot, it's a bit too late. This means I'm never really excited to hit the drugstore and see what's new. It took Maybelline, I think, 4 YEARS to finally release their much-loved Eraser Eye Concealer in more than two shades! That honestly boggles my mind... Indie brands like ColourPop have really shown how quickly you can get a product to market when you don't have to jump through hoops to get a new launch green-lighted. I tweeted L'Oreal two whole years ago saying it's ridiculous I have to order their Pro-Matte foundation from the US to get a shade match and they assured me they were working on this. However the range still hasn't been extended. Why should people of colour have to wait years to have their existence acknowledged? Now it's all of a sudden 'trendy' to have decent base makeup ranges, a lot of drugstore brands have upped their game, but brands like LA Girl have been quietly doing this for a fraction of the cost since the dawn of time! The only drugstore brand that catered to people of colour before it was 'in' was Sleek. 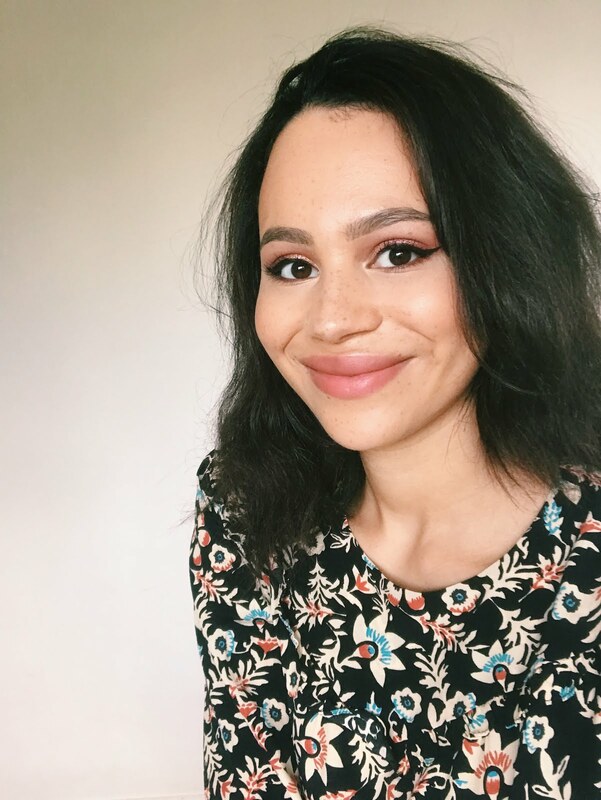 I also think indie brands are more inclusive in other ways (though drugstore brands are now getting in on the action) - don't get me wrong: I'm not totally naive and I understand that if involving the LGBT community and boys who wear makeup didn't sell products, then none of these brands would be doing it. However I do kind of think that mainstream drugstore brands let their edgy, indie equivalents test the waters and, when it went down well with the public, they decided it was 'safe' to do it. It's not even that cheap these days! Away from more controversial and divisive topics... the price hikes are a kicker for me! Whilst there are a handful of drugstore products I swear by and will probably always repurchase, most of the time I'm not that much more out of pocket just buying from a mid-range price. For example: Revlon market their foundation at £12.99, however I can get MAC (and its dizzyingly vast colour range) for a little over £10 more, or go for Milani or LA Girl at around the £10 mark. I do think L'Oreal mascaras are very good but they come in at £11-12 whereas I can get the Fairydrops one for about £6 more. A NYX highlighting palette will set you back a whopping £22, yet the Balm's is only £24. And - just another comparison for fun - if I fell over and hit my head then maybe I'd consider buying the Maybelline Gigi Hadid collection. Their face and eye palette was £29.99! Yes, you read that correctly! You can get a face palette from Too Faced for just £5 more or the Stila face and eye palette for £1 less. That collection really exemplified how out-of-control drugstore prices have become. Obviously there's still a difference, however the gap seems to be closing, so the drugstore is becoming less of a cheaper alternative. I'm not saying high-end products are always better; it's just that if you've seen a product you like then it's probably worth spending that 20% more on it instead of thinking you're going to save a load of money by heading to Superdrug instead. This is the main reason why I don't really buy drugstore makeup anymore - so many times I'd walk into Boots for a browse or looking for one thing and end up coming out with several products that I didn't really want but had tricked myself into buying! I think we're psychologically programmed to want to feel like we're getting a good offer or saving money, paradoxically even if that means buying something we don't really want. I also think many of us are less likely to fully consider a purchase if it's something low-cost that we just came across when popping into Boots or Superdrug for a few bits. I would rather have one product I truly love and use than three I feel lukewarm about. ColourPop: ok, this brand isn't available in the UK but even with shipping (around $10, but free if you spend $50) and / or customs (20% + £8 if you spend over £15), the cost only comes to around the same as the drugstore and I far prefer the quality and the incredible range! Their main focus is eyeshadows but they also have a ton of lip products, a good selection of cheek products and have now branched into base products. An amazing eyeshadow palette will only set you back $16, a comfortable liquid lipstick, $6.50 and a super-impactful shadow, $5. Check out my top picks from ColourPop here. Zoeva: I absolutely love Zoeva makeup brushes, though they're a tad more expensive than the drugstore, I find them comparable to MAC. The eye brushes are around the £9 mark and face brushes are £12-14 and they're such good quality! I also love their themed eyeshadow palettes for £18 - I find that the concepts and colour stories really speak to me and the formula is so nice. Check out my Zoeva reviews here. Milani: This brand does amazing cheek products for the £10-12 mark. 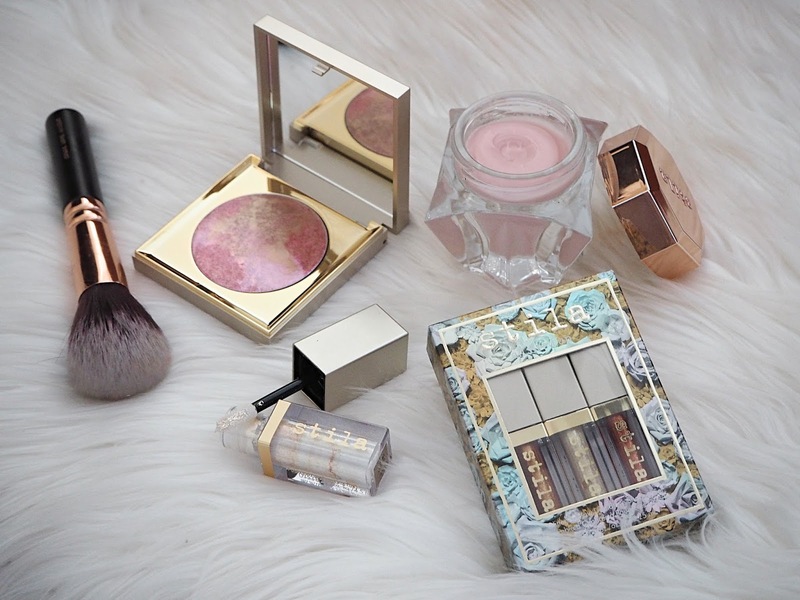 Their Baked Blushes are stunning and their Strobelight highlighters have a beautiful formula and come in so many different shades for so many skin tones. I've reviewed Milani products here. 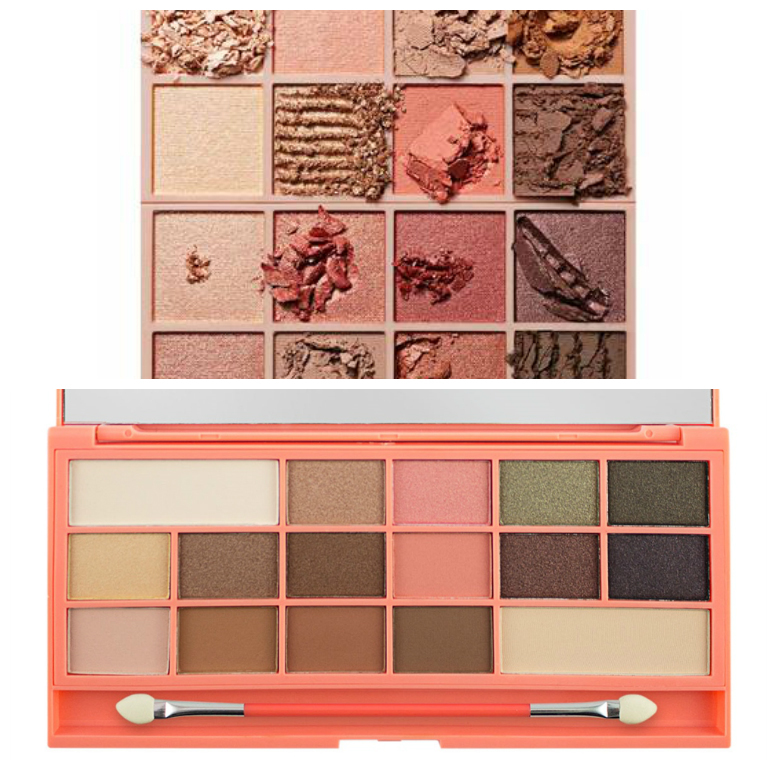 Juvia's Place: I love Juvia's Place colour products - the eyeshadow palettes are so original and inspiring, plus the quality is fantastic! You can pick up their palettes from around £20, which is a tad more than the drugstore palettes like L'Oreal's and Maybelline's, however the colour stories are in another league. My Juvia's place reviews can be found here. LA Girl: So many people swear by the LA Girl concealer, and though the formula wasn't for me personally, it comes in an amazing shade range for just a few pounds! I also really like their matte foundation and they do a bit of a dewier full-coverage foundation alongside it - these are £10 each. 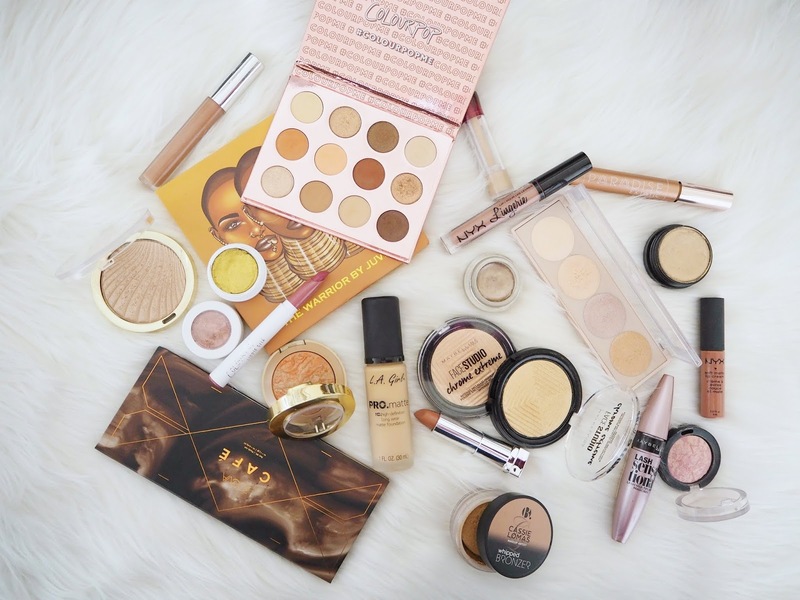 I've talked about the products I've tried from LA Girl here. Do you shop at the drugstore or do you prefer indie brands?